Our online catalog provides everything you need for Christian Puppet Ministry! Watch the clearance section of our online catalog for great closeout items at rock bottom prices, or click on the link below to go to our ebay store for the best discounts! Welcome to Son Shine Puppet Co.! SON SHINE PUPPET COMPANY is now based in Mexico, Missouri formerly in Rockford, Illinois. 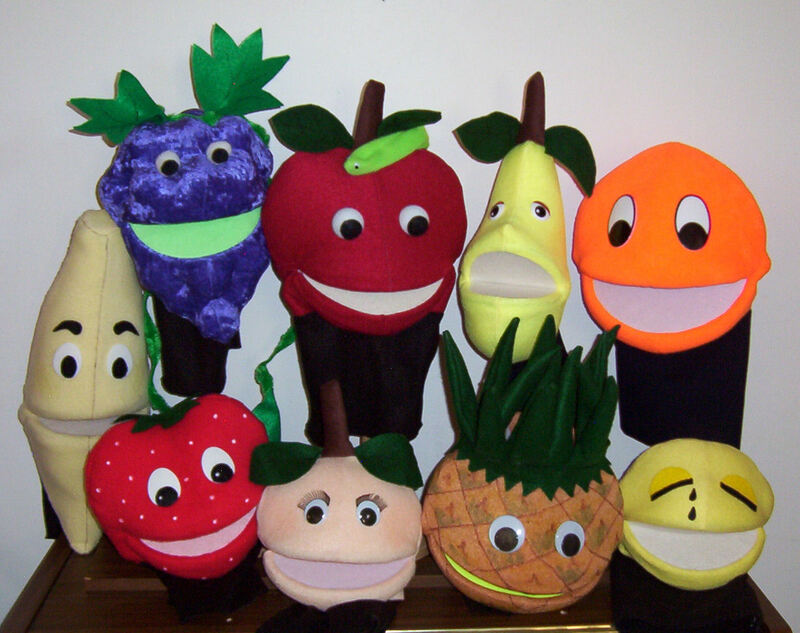 We sell puppets, puppets, and more puppets, blacklight puppets, puppet patterns, puppet scripts, and mascot costumes, as well as Christian Education teacher supplies, kid's church curriculum, Christian videos & DVDs. We feature blacklight puppet ministry, fabric, patterns, stages, and puppet scripts. In our online catalog we have everything you need for blacklight Christian puppet ministry, patterns, fabric, stages, scripts, mascot costumes, and Christian Education teacher supplies. You will also find large walk-around mascot costumes as well as over 500 characters of blacklight and variety puppets. SON SHINE PUPPET CO. HAS BEEN PROVIDING QUALITY PRODUCTS SINCE 1977, MAKING 2017 our 40th YEAR!!! If you can't find what you want, or would like a CUSTOM PUPPET or COSTUME, please call our local number: 573-975-0676 (Glenda). PLEASE CALL TO CHECK HANDLING TIMES IF YOU NEED A RUSH ORDER. ALL OF OUR PUPPETS ARE CONSTRUCTED AFTER YOU PLACE YOUR ORDER AND A 3-4 WEEK HANDLING TIME IS NEEDED! Mascot and walk-around Costumes can take up to 6 weeks for handling time! If you are ordering from outside continental US, please contact us for actual shipping costs as our shipping chart doesn't apply to you. Check out The SON WORLD GAZETTE, which has FREE scripts and ideas for you to download for your children's ministry. Please don't hesitate to let us know how we can help YOU!